9am: The young crafters arrived at my parents' house, ready to get busy. This is our third annual crafting party, however this is the first time that we've combined the "kids" craft and the "adult" craft day into ONE day! Yikes, that was ambitious. If you know any of us, my mom, sister or myself, you know that we are planners. duh. So of course we each had assigned food to bring, and one kids and one adult craft each. Things ran surprisingly smooth, but by the end of our crafting marathon, we were exhausted. 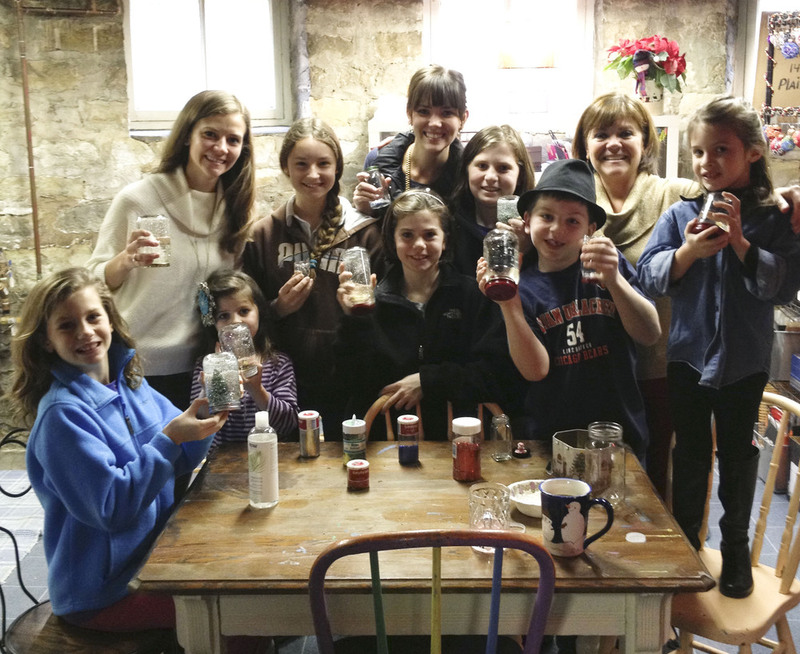 Here we are with the kids, showing off their new snow globes! Check out the instructions for each of them. They were all a huge success. 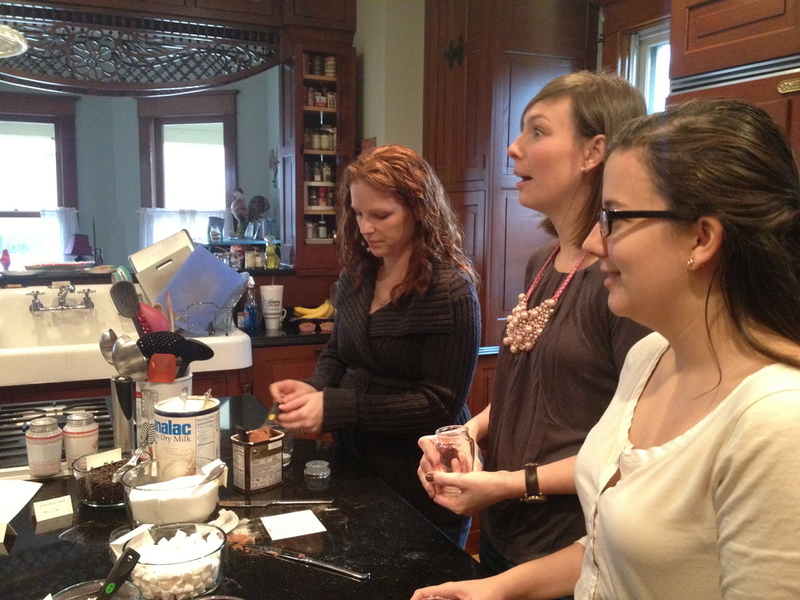 12noon: a few of our friends came over for an actual crafternoon. We crafted ALLL afternoon :) Following some finger sandwiches and fresh fruit, Cerena directed us in on our first craft, Mini Mix in a Jar, except we used a hot chocolate recipe instead. (I will try to get that from Cerena). 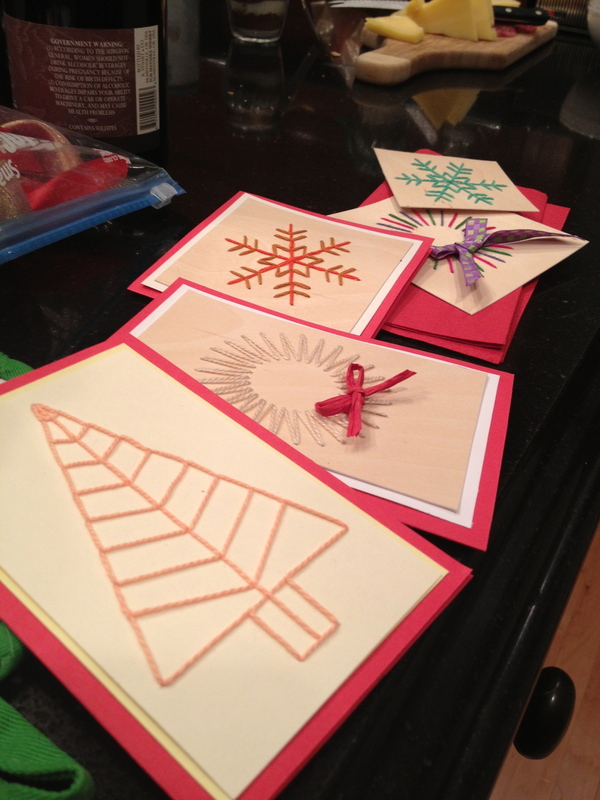 Next, it was down to the crafting room to make our Scandinavian inspired Christmas Cards with embroidered designs. It was part of a larger craft segment on Family Circle. They all look awesome, check it out! 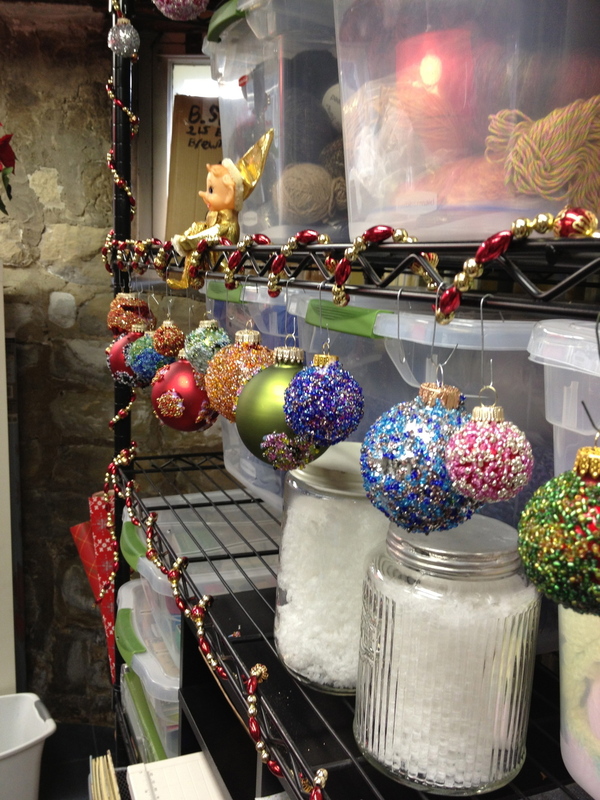 Last up was Debbie's throw-back craft, from her 4-H years! 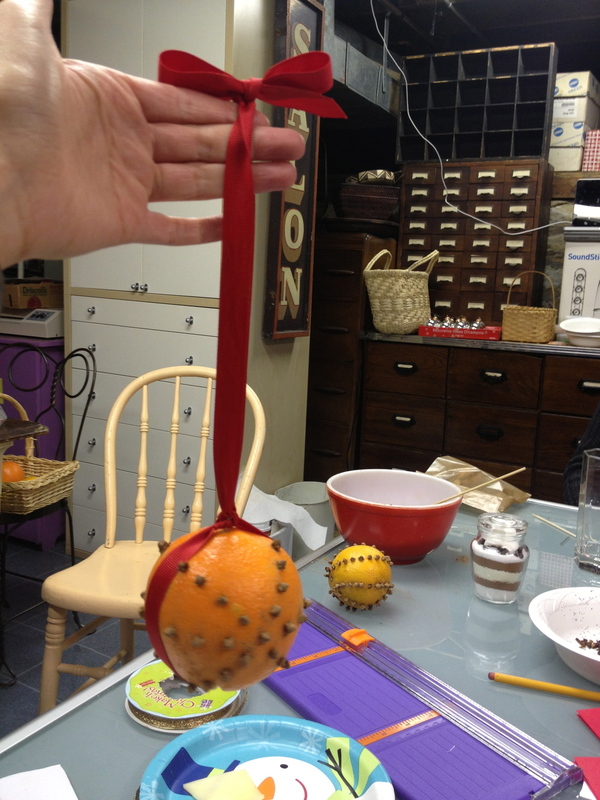 We made pomanders. We had no idea what she was talking about when she mentioned this as her craft. Oh well! They turned out great, and mine is giving off a nice orange/clove scent as we speak! I would say it was quite a success! Can't wait until our next crafternoon... Valentines Day?